Every product has its market, and the more unique a product’s target market is, the more exciting it is for us techies to explore. Here’s another USB stick that’s going to either drive you nuts or drive you to order it today. If you’re a cheating husband, an unfaithful wife, a not-so-honest boyfriend or girlfriend—chances are, you will hate the new Paraben iRecovery Stick (iRs). That is, if you’re using an Apple iPhone. This USB flash drive has become really popular not only among those in a questionable relationship but also to those professionals who often delete iPhone data accidentally, employers looking for proof that their workers are doing something conspicuous, parents wanting to know what their children are up to, and most importantly, investigators who are searching for evidence on the iPhone. The iRs has the ability to recover data from iPhones running any OS through iOS 4.3. That means that this little gum stick-sized USB drive will recover any type of data that have already been deleted, such as text messages, contacts, call history, and calendar entries. Likewise, it also allows user to download already existing content of the phone such as contacts, calendar entries, text messages, pictures and videos, as well as call history. It also recovers deleted data even if the iPhone is not around just by loading the iTunes backup files you have created in Windows. With its size, the iRecovery is completely portable, so you can carry it around to use on any computer you own. Also because of its make and size, the iRecovery is inconspicuous. Unless the iPhone’s owner knows how it looks, the device would not be suspected as a device for data recovery. Users are also guaranteed of a user-friendly interface. Just plug the Paraben iRecovery Stick in to your computer that runs Windows XP, Vista and Windows 7 (ironically, this USB does not support Macs). Then connect your iPhone, iPad or iTouch to the same computer using the cable that comes with the iRs. If iTunes opens, just close it. Once the iRs is plugged, the computer will automatically ask you to open the new plugged in device. If it doesn’t give you a prompt, find and open it in your My Computer then double click “IRS.exe.” Once this program has opened, just click the “Start” button and you’ll see the recovery process start. The USB data recovery has finished, you will see all the data from the phone in the special viewers within the IRS program. Depending on how much data has been stored and deleted in the device, data recovery may take from 15 minutes to several hours. This is where we turn a little cynical, how would you keep the iPhone of your husband or girlfriend for hours without them knowing? We’re thinking the point is, if they weren’t really trying to hide anything, they will let you do it. Sold at $199, the iRecovery Stick also works with your iTouch and iPad, although of course, you wouldn’t get a lot from them except probably thousands of music tracks that had been deleted. However, I still think this could be a case for invasion of privacy, and I’m quite sure some people delete for a reason. 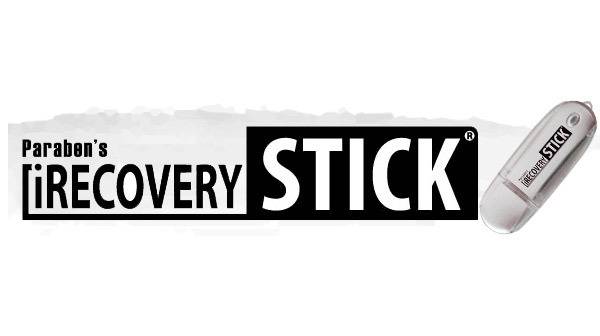 What do you make of the iRecovery Stick? This entry was posted in Apple, Articles, iPad, iPhone, Paraben Corporation, Paraben iRecovery Stick, USB Devices, USB Flash Drives, USB Gadgets, USB Stick, USB Technology and tagged Forensic Data Recovery Stick, iPhone Data Recovery, iRecovery Stick, iRecovery Stick To Recover Lost Data, iRS, IRS program, Paraben Corporation, Paraben iPhone Data Recovery Stick, Paraben iRecovery Stick, Paraben iRecovery USB Stick, USB Data Recovery. Bookmark the permalink. One Response to Paraben iRecovery Stick USB: A New Digital Spy?